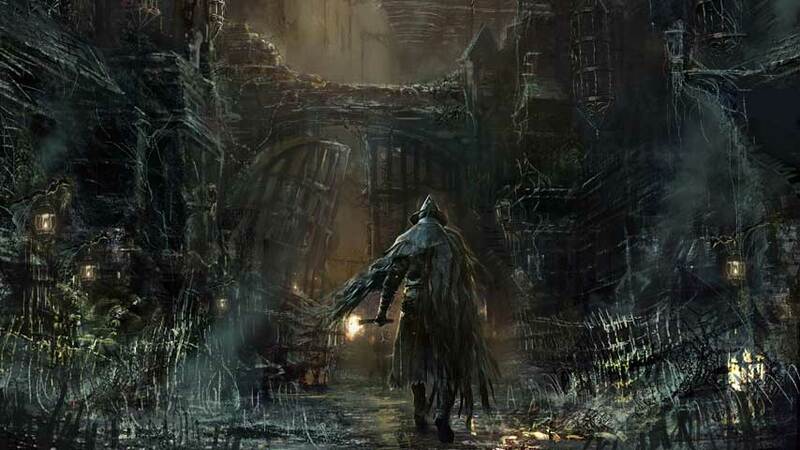 Bloodborne players can end up in Yahar’gul, Unseen Village much earlier than they ought to. Here’s how to get back. In Bloodborne, a kind of enemy called Death Dealer is particularly difficult to kill. There’s a very nasty consequence to letting one take you down: instead of returning you to your last lantern, it drags you off to a cell in Yahar’gul, Unseen Village. Yahar’gul, Unseen Village is an end game area and for most of the game being carried off there is a grievous mistake. It’s not final, though; if you’re unlucky enough to end up there, follow our guide to get back to Hunter’s Dream and collect some rad stuff on the way. After waking up, take the door to the right, then the next right. Collect the Thick Coldblood. Take the stairs down, and collect the Frenzied Coldblood in the room at the bottom. The woman here is a non-hostile NPC. Back up the stairs, go to the left side of the room where you first woke up and take either set of stairs up; go through the door about halfway up. Go down the next set of stairs and fight two Old Hags; they’re fast, but not unbeatable, even if you’re at a low level. There are cells on either side; approach them to wake up the Henchmen inside. The cells contain six Blood Vials and ten Quicksilver Bullets. Don’t go into the next room; it’s got a couple of Death Dealers in it, so don’t go in. Go back to the stairs and go all the way to the top. Don’t engage the Death Dealers here, either; make a dash for the lantern and make your escape.